Bon Hiver: Lush harmonies and auto vocal tune in the style of Bon Iver's song "Woods." extra effects are available through a subscription now? i was literally about to purchase the extra effects, all of them. to my surprise i find the app has been updated and now offers a subscription instead of a one time purchase. has it always been a subscription and i just didn’t know, or have the devs turned this wonderful app into a smule crap? please no. i was just about to spend money on this like i had been planning for quite some time, i can’t believe that on the day where i actually commit to my plans i find Voloco turned into one of the least successful business models for apps imo. 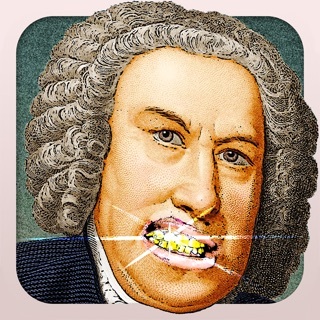 So this app is super amusing for singers. I really like the presets inspired by Indian Classical music. Getting lost in a dronescape is hypnotic. Also, as someone who has talked a lot of smack about auto tune over the years, it’s actually pretty fun to play with. I don’t use the key finding features for existing songs much, but they work. I appreciate the ability to use any effect in any of the available scales. Chromatic scale and vocoder is an amusing combination. I wish that user defined presets were a thing, but that’s my only extremely mild gripe. There is this annoying sound in the background that I can’t get out unless I keep hitting the camera on the front repeatedly which makes no sense that I have to do! That goes with Audio and Video mode. I’m done with the app and I will keep it installed if I get a developers response or help. Edit: I figured it out it was just the Vocal Monitor when you click Mix. 5 stars no more problems.